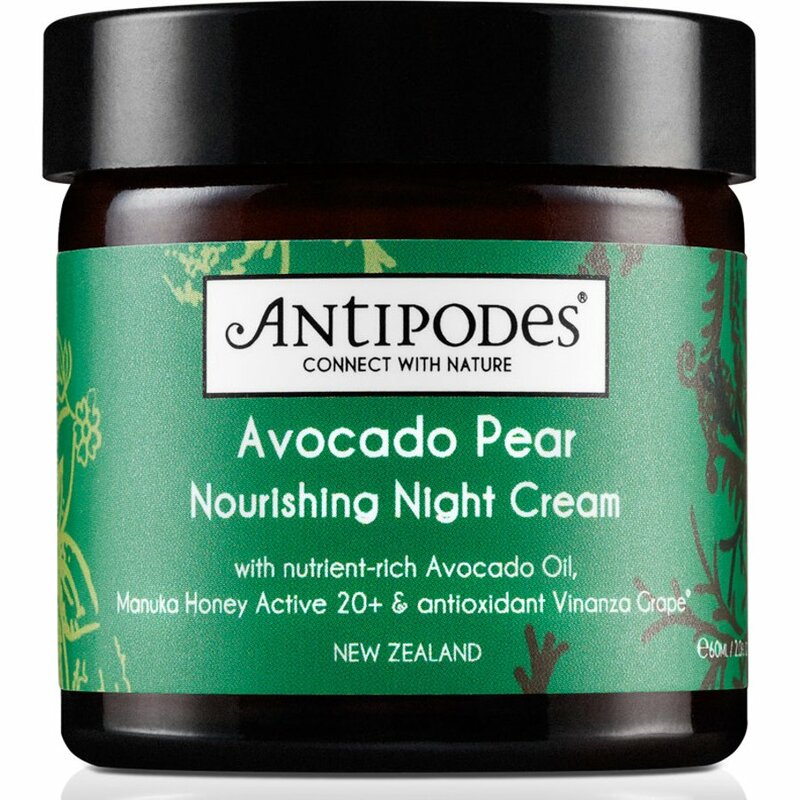 Antipodes night cream uses the superior restorative qualities of 100% pure avocado oil to replenish facial skin overnight. Also contains soothing calendula oil from marigold petals and active manuka honey to heal and hydrate while powerful antioxidant Vinanza Grape neutralises free radical damage. With the pure plant fragrance of ylang ylang, jasmine and sandalwood. Avocado Oil is scientifically proven to stimulate synthesis of collagen production. Collagen smoothes and firms up the skin. Suitable for most skin conditions including very dry skin. Aqua (water), Butyrosperum parkii (shea butter), Squalane (vegetable), Persea gratissima (avocado oil), Leptospermum scoparium mel (manuka honey), Macadamia ternifolia (macadamia oil), Calendula officialis (calendula oil), Caprylic triglyceride (fractionated coconut oil), Glyceryl stearate, Ceteareth-20, Ceteareth-12, Cetearyl alcohol, Cetyl palmitate (natural source), Tocopheryl acetate (vitamin e), Lecithin (vegetable), Citrus grandis (grapefruit seed extract), Santalum album (sandalwood oil), Pogostemon cablin (patchouli oil), Cananga odorata (ylang ylang oil), Lodopropynyl butylcarbarmate, Phenoxyethanol. The Antipodes Avocado Pear Night Cream Moisturiser - 60ml product ethics are indicated below. To learn more about these product ethics and to see related products, follow the links below. The best night cream I had ever use. Love it! The smell is a bit woody but I like the rich texture which seems to really plump up the skin. It is too much for everyday use on me (sensitive combination skin type), I still prefer my regular rose cream which is also very rich but more soothing. I don't like the packaging, my daughter knocked it on to the floor and the lid shattered. 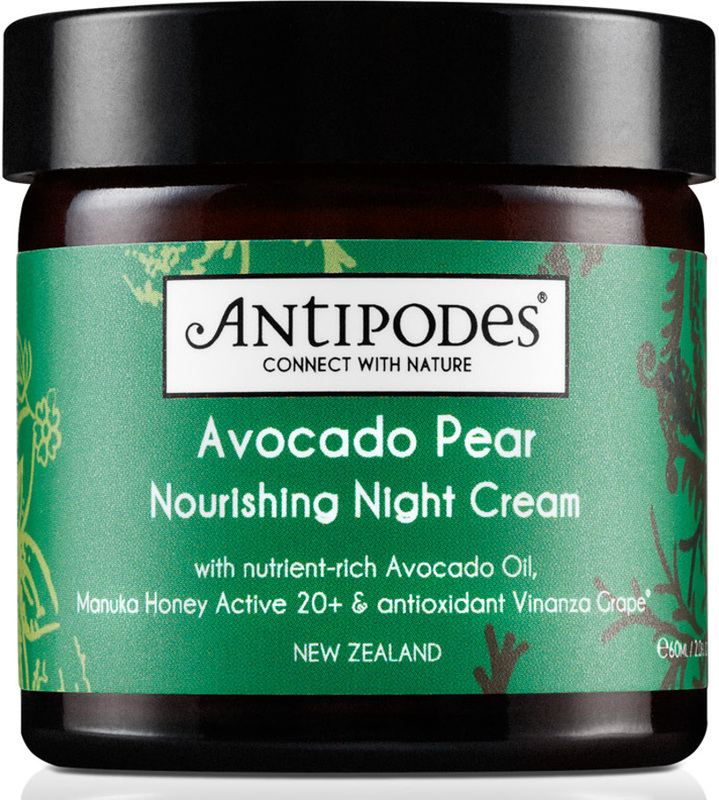 There are currently no questions to display about Antipodes Avocado Pear Night Cream Moisturiser - 60ml.